The Astros’ lone move this past Monday was the acquisition of Francisco Liriano from the Blue Jays, but multiple reports indicate a significant reason for their lack of activity is due to the fact that an agreed-upon deal for Zach Britton fell through at the eleventh hour. Roch Kubatko of MASNsports.com (here and here), MLB Network’s Ken Rosenthal, and FanRag’s Jon Heyman each reported key aspects of the story. You’ll certainly want to read those links in full for all the interesting details, but we’ll cover some highlights here. Astros owner Jim Crane said in a radio interview with ESPN 97.5 in Houston that his team had multiple trades that were “agreed to in principle” before medical issues led to those deals getting “vetoed at the top.” The Orioles are known to have the most stringent medical standards of any team in the league, though it’s also interesting that Rosenthal reports that Houston also had a deal lined up for an unidentified “high-end” reliever that would have “surprised the industry” upon being traded. Per Kubatko and Rosenthal, the Britton deal broke down when the Orioles raised medical concerns over two of the players in the deal — believing one to have a “legitimate medical problem” and deeming another to be somewhat questionable. The identity of the prospects in question isn’t known, though Kubatko says the pair were both pitchers and Rosenthal hears that as many as six to seven Astros prospects were deemed off-limits in trade talks for Britton. Ultimately, the Orioles “went dark” on both the Astros and the Dodgers, who were also in the mix for Britton, for several hours before simply telling L.A. that Britton was off the table about an hour prior to the deadline, Rosenthal continues. Baltimore made a last-minute offer to Houston, but the Astros deemed it too steep. Heyman writes that while many will place the blame on Baltimore owner Peter Angelos, Orioles officials insisted to him that the medical reports on the players the O’s would have received of great enough concern that no deal was ever even presented to Angelos. Heyman spoke to multiple execs from other teams that suggested Houston is too stingy when it comes to surrendering its top prospects in a deal, and that penchant for hanging onto prized young talent ultimately led to a quiet deadline for GM Jeff Luhnow and his staff. Of course, the Astros had plenty of reason to be cautious when it comes to Britton. The once-elite reliever has missed most of the 2017 season due to a pair of DL stints tied to a forearm injury and at the time of the deadline had only worked back-to-back days once since being activated off the DL (and once during a minor league rehab stint). He posted an 8-to-4 K/BB ratio in 10 July innings before the non-waiver deadline, though it’s perhaps worth noting that he did work on a third consecutive evening the night of the deadline. Houston did, of course, have other irons in the fire — including the intriguing mystery reliever noted by Rosenthal as well as Yu Darvish. Indeed, it seems the former only fell through at the ownership level from the other team. And Houston’s front office felt it made a stronger offer for Darvish than did the Dodgers, says Rosenthal, who notes the Rangers simply didn’t see it that way (the front office had authority to deal the righty within the state). Brad Hand of the Padres, though, seemingly represented the most obvious alternative to Britton — at least, after the Cubs grabbed Justin Wilson, in part owing to a wariness of dealing with the O’s on deadline day. But Houston and San Diego just never saw eye to eye on the southpaw’s value, per Rosenthal and Heyman. Sources from the Pads indicate the club ultimately backed away from seeking top-100-type talent, though not all rival executives seem to have viewed it that way. It seems that San Diego did at least check down from the top-tier prospects it initially sought, though obviously there was still a gap that was never bridged. Details remain scant, though Rosenthal notes the Astros held the same six prospects off-limits for Hand that they did for Britton; per Heyman, the Nationals were no more willing to discuss Carter Kieboom than their top outfielder prospects and the Dodgers preferred cheaper options even though the Padres would’ve taken a package of multiple prospects outside of the Dodgers’ five best. Ultimately, the fact that both Britton and Hand stayed with their respective organizations leaves some potentially un-done work for all involved. The Astros obviously had intended to do more at the deadline, and could look to find alternatives this August. There’s also an impact on their plans for 2018 and beyond. That’s all the more true for the Orioles and Padres, who’ll likely shop their lefties this winter. the orioles are ridiculous when it comes to this kind of thing. no other team in baseball is that meticulous. Not their fault the nationals signed a garbage deal. One that was overseen by the current commissioner, no less. The way he’s treating the Orioles as a result of his negotiating is so petty and self serving. Baltimore deserves an All-Star game again. So being meticulous about investment risk is bad…ok? Seems to have worked out for them more often than not when it comes to free agent deals. What free agent deal has worked for them? Somebody has to be the most meticulous, and the Orioles have gotten burned in the past with people with bad medicals. Angelos is an attorney. He was Maryland’s lead attorney in the lawsuit against the tobacco industry. It makes logical sense that his team would be very risk-averse when it comes to the medical condition of players. They ended up backing off from the Grant Balfour deal (good idea) and gave Gallardo less years (also good idea). Being stringent hasn’t always been that bad for them. Liriano is okay and if he can find his old 2013 form he could be a useful asset to the Astros, however Britton would’ve been a better choice if he could stay healthy. I like Liriano, but I’m not sure he’s ever going to be an effective pitcher in the majors again. More so than any other player, the advances in video work have really hurt him. He throws pitches that look like strikes in the box but finish well out of the zone. But batters watch so much video these days they know to take and take and take until he serves up meatballs in the zone. Or they walk on him all game. I expect most of his outings to look like tonight. I hope I’m wrong, though. Other teams are wary of the Os and Padres front office. Yup, makes perfect sense. More like other teams valued their prospects more than proven arms. Also, it was the Orioles who shot down the Astros deal due to medicals according to this report. When you have deals in place that doesnt mean theyre wary lol. if all the other teams think their ask was too much, then it’s probably them with the incorrect value and not all of the other teams. The O’s do the medical crap so they can try to pivot to higher rated prospects. Never works. Way to spin the narrative to your liking. The article never indicated that other teams were wary of the FO. More like they just couldn’t come to a mutual agreement. But whatever helps you sleep at night. Go ahead and continue to convince yourself. If you actually read all of Ken Rosenthal’s report, he does actually states that many teams and executives around the league are growing wary of working with the Orioles and their front office. Was never implied in the reporting and is just a supposition. Correction…was implied, but is still a supposition. I’d grant that O’s past practice probably reduces the amount of effort other teams put in to the negotiations when they seemingly hit a wall. I can imagine other teams just give up when they might try to sell their trade a little more with another trade partner. If you’re old enough and lived in Baltimore back in the day, you might know that Rosenthal was a beat writer for the Baltimore Sun………and he wasn’t on the best of terms with the team. I’m not saying he should have been a homer, but he developed a reputation as a guy looking for a “scoop” over anything else. Lot’s of asking one guy his opinion about another guy, and then running off and telling the other guy……..it appeared to some to be high school rumorgirl type crap, rather than coorobration, etc…. It got to the point many of the better players (Cal, Mussina, Surhoff, Anderson) froze him out. Those guys were known to be somewhat salty with the media at time, regardless Kenny had a special place in their hearts. Given Peter Angelos’ affections for his stars, I think it infected the front office to degree. I think the guy does a pretty good job, but I often take what he writes about the O’s with a grain of salt. I’m not sure if he has a bias, but let’s just say if it’s a toss-up type of thing, don’t expect him to say anything good about the O’s. Rosenthal has a long standing and well known hatred of Peter Angelos, and any “reporting” he does about the Orioles front office should be taken with several grains of salt and a shot of tequila. For the record, I’m a Red Sox fan, but if I had to place impetus on why the Orioles are sticklers for medical concerns, I would look no further than Albert Belle. Well, there you have it. Padres were wise to keep Hand. If they were willing to take multiple prospects- possibly 4- outside the dodgers top 5 and a deal never materialized they most likely couldnt agree on where the 4 landed. Maybe preller said two in 6-10 and 2 11-15. Who really knows. But seems like the 15-20 low ceiling report were somewhat validated by Heyman. As such if 15-20 is what teams really limited the Padres to for Hand they were wise to keep him and shop him during the winter. How is “not discussing 6 protected prospects” a validation of 15-20? There are a few numbers between protecting 6 prospects and offering from 15-20 in a system. Teams weren’t willing to discuss top 5 players. That makes some sense. Teams only offered players in the 15-20 range never made sense, and we see here, that it wasn’t actually the case. You will notice that it does not say these teams discussed players outside the top 10 or anything of the sort. It focuses on the fact that LAD and HOU were unwilling to trade from their top tier prospects. 2. Literally the article says reports were Padres were willing to take “multiple” prospects outside the top 5 for the dodgers. 1-5 off limits. Considering a deal didnt happen its not hard to connect the dots. 3. Padres willing to take outside top 5. Meaning 6 7 8 9 10 11 12 13 14 were mentioned in talks. Since reports were 15-20 wasnt good enough to land Hand and Padres were ok taking outside top 5 does seem like 6 7 8 9 10 11 12 13 14 werent being offered even though preller may have asked. So top 5 off limits, 6-14 didnt get a deal done despite preller willing to do so, thus 15-20 were most likely where offers were. Common sense isn’t. You won’t be able to convince people like that with it. I don’t understand how you could even try to say that it makes sense. Did you see what the Giants gave up for a pitcher that is not near as good as Hand last year? In the offseason, someone is going to cough up two of the type of prospects they were unwilling to give up one of to get Hand the Closer. Closers are worth more than setup men and he could have 20 saves by the end of the year if the Padres continue to win at a .500 pace like they have the past two months. The Nationals and the Astros will be on the outside looking in when it comes to the WS this season because of their unwillingness to part with top prospects. The day before the regular season I think. Or maybe it was the day of I’m not sure. But that’s a whole lot different than in December at the winter meetings. Most teams have a general idea of their strengths and weaknesses by then and not to mention injuries that take place in spring training. Nobody said he was kimbrel and nobody said Hand will get a Kimbrel package. What people have said is kimbrel wasnt dealt at the deadline cause of bad offers. Preller waited and got a much better package during the offseason. Fastforward to now. Reports are Hand wasnt dealt cause of bad offers. Preller held on to Hand in hopes of getting better prospects during the off season. Nobody has said, with seriousness, Hand will get a Chapman, Miller, Giles, Kimbrel package during the off season. What people have said is chances are Padres will get a better package during the offseason. Zero chance..you don’t know that and aren’t privileged to inside information! Come on people with these statements. Should be more like..he’s gonna be difficult to sign. everybody gets to play make believe General Manager in here, it’s half the fun of the place…………you just have to watch out for folks that get personal over this stuff. 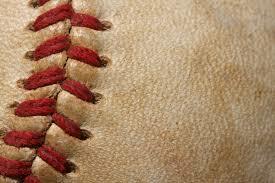 Even at the MLB level, baseball is just a game,= after all, and none of us are even playing it! And as a Dodger fan, you have access to privileged information about the Orioles interest and ability to sign Machado to a new contract that the rest of us are not. I’m so impressed with your knowledge and influence. If Brad had a twin brother, would the Padres be holding Hands? What if the Cardinals had designs of trading Tommy Pham for cash considerations, but initially were trying to trade him for Brad Hand? You have a future as a headline editor! Does anyone have any ideas on the identity of the mystery reliever that was mentioned for the Astros? You would have to think it was a young controllable closer from a non contending team, maybe Osuna or Iglesias? completely guess work, but just browsing though the standings for the sellers, maybe Felipe Rivero, Osuna, or Roesnthal. So next went to contenders with a surplus of arms and went with Yankees. Maybe Betances? I’m not sure he is I don’t think the Yankees believe they can compete this year as currently constructed, and some of this is just a bridge team to the next contender. Like it’s a decent playoff team, and the playoffs are a crapshoot anything can happen, but I think they want to open their window in ’19 after signing Harper, Machado, or whoever to a mega deal. Flipping Betances, who they have had some issues before, albeit mostly minor ones, for near ready prospects would be a good move. The pen is still strong enough there that it doesn’t really matter if they lose him. I suggest you toss the rock you’ve been living under to the side, they clearly believe they can win a World Series with this team. Why do you think they traded for rental guys like Frazier and Garcia? Not just to have them look pretty in pinstripes; they gave up top prospects to acquire the guys they got at the deadline. Betances is a big piece on this team, they wouldn’t trade him right now. Mystery reliever is definitely Osuna. I’m guessing Diaz, Osuna, or Rivero. I don’t think Iglesias or Rosenthal work as its the Reds, so everyone outside of Votto is available, and the Cards were known to be shopping Rosenthal. Well, that is what I said. Though I’m sure every trade surprises someone, but the article is speaking in terms of people within baseball, so no I do not think that would have surprised them. Maybe more of a surprise to them that the Cardinals were selling, not that the Astros acquired him. Houston like the Dodgers, hold too many of their prospects so when it comes time to add and go over the top, they fail. The Cubs, paid dearly for Chapman but they won it all. You don’t do this to be very good, competitive. You do this to win a Championship! Yeah, they hold too many top prospects. Those teams, both with very, very strong home grown young cores, hold their prospects too much. That Seager player should have been traded. I mean the Dodgers had to hold really. It was no secret they were getting old and expensive so….. Really they have their base now with young controllable players to compliment. They just traded for Yu. Their have been rumblings they were also close to the finish line with Britton and Angelos shot it down. So I’m not sure what you want them to do. The Cubs did what they did, because of 108 years and they had established their young core. They were actually oozing with young positional player talent. Honestly believing that Buehler and/or Verdugo could contribute isn’t to far fetched. I find this in the same vein as fans/talking heads lamenting over the dodgers unwillingness to trade Bellinger for a 2b upgrade. I think the FO has have earned some substantial leeway at this point. Friedman knows what he’s doing. Your just mad we didn’t bail you out with giving verdugo for verlander and his terrible contract lol. Gtfo bud! Reds GM said they had a few deals that didn’t go through. Said one was a bigger one. Iglesias bobble head day is Saturday. I can see Reds owner killing a deal because of that. They did it with Johnny Gomes a few years ago as crazy as it sounds. Holding onto Hand might end up being a blessing in disguise. Now that he’s closing, he can build up his value even more before being shopped in the offseason. Not comparing Hand to Kimbrel, but the Padres were bashed for not trading him at deadline and in the end it worked out. I think it’s fair to compare the increase in the packages that the Padres got then with the increase they will likely see for Hand the closer as opposed to Hand the set up man. The Padres reportedly received offers of a couple of mid level prospects for Kimbrel at the deadline and then got Guerra, Margot, Allen, and Asuaje in the offseason. They were the Red Sox 3rd and MLB #25 overall, Red Sox 6th and MLB #76 overall, #18 and #24th ranked prospects in what was then the #2 farm system in baseball. Teams aren’t really fooled anymore by that “proven closer” nonsense – arbitrators still are, and Hand is arb-eligible this off-season, so good for him, but teams don’t pay a premium for saves anymore. Front offices are smarter than that now. Hand has plenty of value without the meaningless “save” stat. Miller only got the return he did because he was a closer for the Yankees. Prior to the trade deadline, many were saying that Wilson was worth more than Hand precisely because he had closing experience. Arbitration panels are made up of baseball people. Teams would not allow people that had no idea of the true value of a player to be involved in decisions that have such an impact on their pocketbooks. The record for biggest contact given to a relief pitcher was broken 3 times last offseason. All three times it was a closer breaking the record (Melancon, Jensen, Chapman). It would appear that teams do indeed still pay a premium for saves, perhaps more so now than ever. I think those guys broke the record because they were the best pitchers available. The fact that they were closers is of course going to correlate because the best pitchers usually end up closing. closers are not necessarily the best pitchers. they are the pitchers who can pitch the best through 1, maybe 2 innings. my definition of a good pitcher includes the ability to pitch more than one inning. hence, I think they were given huge contracts because they were the best closers, not the best pitchers. there’s certainly nothing wrong with being the best closer. just in the context of this discussion, we seem to be ascertaining whether or not teams pay a premium for saves. Their ace on the staff was very vocal about not getting one more arm. They have slowed down while the doyuers have heated up, but keep telling yourself that. It’s about being the best team when there’s no more games to play, not with 2+ months of ball left. Your arguments are completely empty. If you don’t think it will have any bearing, say why. The Astros had obvious holes or ways to improve at least in their rotation and bullpen and couldn’t get it done. It’s that simple. I am surprised so many teams undervalued Hand. His sample size is fairly large and peripherals are good. He comes kind of close to Andrew Miller. Don’t believe me? Compare the numbers. The numbers need to be taken in context, though; Miller did what he did in hitter’s parks in the tougher league. His stuff is obviously better, too. Hand pitches half his games in Petco, which is still a pitcher’s park, and the NL has a lot of the weakest teams in baseball. cahill and Maurer have looked excellent in the American League. You sure? Did you see Cahill’s last couple of starts? Lots of dingers. And Mauer just gave up a 3 spot in one inning in his last appearance. Possibly decent, but definitely not excellent. They’ve looked bad that was a joke. Sorry but Colorado, Arizona, dodgers are all better than the yankees, Red Sox, rays. Weakest division is the nl east with al east not to far behind. You’re the biggest DA troll on here!!! Lmao. AL East right behind NL East for weakest division? As of now the AL East is the only division in baseball where all 5 teams have 50 wins. It’s actually one of the strongest divisions in baseball. how in the heck is NL central not last? that really surprises me! Because the NL East is THAT bad. The 4th place PIrates in the NL Central would be in 2nd place in the NL East. The “tougher league” is not tougher for relief pitchers, since they never get to face a pitcher, they get a counter pinch hitter instead. hands best season (this half-season) is not even as good as Miller’s worst. Hand was a failed starter like Miller and only once picked up by Padres last year did they make him strictly a reliever. He’s no Andrew Miller but been on an upward trend. Very comparable this year and trending in right direction. Why did you take two seasons in which Hand was a starter and try to apply it to a conversation about relievers? Prior to the trade from the Yankees to Cleveland, Miller put up a 2.04 ERA in 2015 and then a ridiculous 1.39 ERA in the first half of 2016. In his first year as a reliever, Hand put up a 2.92 ERA in 2017 and a 2.00 ERA prior to the deadline in 2017. He also had 19 straight appearances without allowing a run, now up to 20. Miller is a better pitcher and I don’t think anyone is saying he is not. Right now, Hand is hands down (pun intended) the best reliever that was available in the trade market. No one is arguing that either. Unless Britton can show he is 100% healthy and able to replicate his numbers from 2016, Hand will still be the best closer on the trade market come November. Teams low balled the Padres and they chose to keep Hand for a few months and they will reap the benefits in the offseason when Hand has those saves under his belt and there are 29 teams looking to trade for him. Those teams will also reap the damage that not having a shutdown bullpen can give them in the playoffs. The Nationals and Astros will be watching the WS on TV like the rest of us. Something to keep in mind as well. A WS appearance, win or lose, is worth about $40 million to a team. That would buy a free agent or two to take the place of the lost prospects. Like the Cubs did with the rental of Chapman and the Indians did with Miller a year ago and the Dodgers did this year with the rental of Darvish, you go all in when you think you have a shot at a championship. I don’t think the Cubs won the WS because they got Chapman. He actually struggled several times throughout the playoffs. They won because they had a good team. Signing a Brad Hand or Britton doesn’t guarantee anything. That’s such a wrong statement. Only Miller’s 2016 and 2017 seasons can be considered better (2017 not yet definitive), and it’s not even close on the rest. I love how you cherry pick and take Hand’s awful seasons and compare them to Miller’s good years. If you’re gonna compare the awful Hand seasons, at least include Miller’s crap seasons as well. If I had to take Brad Hand or Andrew Miller for the next 3 years, I would take the up and coming younger and cheaper arm instead of the already injured one. I don’t get it why people keep putting Hand under the radar. Hand probably isn’t worth Torres but doesn’t hurt to ask. All it takes is one desperate contender. Remember that just a year ago, Torres was traded for a pending free agent. Hand is not a pending free agent. Would you rather have 2 months of Aroldis Chapman (worth 1.1 WAR for the Cubs over 2+ months) or 2.5 years of Brad Hand (5 WAR assuming he’s worth 2 a year). Chapman’s name is worth more than Hand’s which is why he commanded so much. He’s flashy. He has huge velocity and 100+ fastballs get more press than a rather consistent 8th inning type guy. But in terms of production, I believe I would value 2.5 years of Hand over 0.5 years of Chapman. It should also be noted that I wouldn’t have given NYY that package for half a season of Chapman. You say it doesn’t hurt to ask, but Hand is still in San Diego closing meaningless games for a team going nowhere and losing team control by the day. Maybe if the Padres were realistic about his worth, they could have engaged teams and worked towards a deal that would have benefited them. Instead it sounds like teams heard an unrealistic asking price and moved on to other teams who were more interested in making a deal. Hopefully for the Padres, Hand doesn’t falter or get hurt because that would be a terrible scenario for a rebuilding club. So the Astros didn’t make a deal besides Liriano because 1 deal fell through at the 11th hour. It seems to me that’s a complete fail on the part of the Astros. They are aware they can make deals before the last day of July, right? It just doesn’t make sense to me that they did virtually nothing when they have a legit change at going to the world series. Not being willing to deal some players, I get but IMO they should’ve been willing to deal guys that are blocked or not going to help the team this year when you can win now. You never know when you’re going to get another chance. They can also work on multiple deals at the same time. Why wouldn’t you be negotiating a fallback deal? I agree. The Astros are entirely responsible for their failure. Failure? I wouldn’t be too quick to judge. I mean they are still the best team in the American league and only have Beltran as a free agent for the next season. For starters, San Diego was smart not to just trade Hand (or Yates for that matter) for the sake of trading him. They have plenty of control left and when the right deal comes along, they jump. Say what you will about Preller, but once he realized the push to go for it wasn’t going to work, he wasted no time starting to rebuild and has done very well in acquiring talent. I trust his judgement. (Don’t bring up the medicals issue, it was a year ago, he’s made plenty of moves since). In regard to Baltimore, is there anything that the MLB owners can do to get Angelos out? He’s one of the least intelligent men (in regard to baseball) that I’ve ever seen and he’s just hurting the city and hurting the league. If there is anything they can do they should do it. I’m not an Orioles fan, but reading constant O’s management screw ups just makes my blood boil. Trading all international bonus money, not signing Conlon, trading for Hellickson when they’re nowhere near competitive, continuing to wheel Ubaldo Jimenez out there when 50% of fans could post better results on the mound (in regard to the 6.56 ERA over quite a large sample size), and more. Something’s gotta give. From your mouth to God’s ears. The only hope we O’s fans have is that Angelos is 87 years old. I’m glad the O’s are difficult to deal with. That club has been burned in the past especially with Albert Belle. I think with G.Davis and Belle is where this comes from with the medicals. People complain, but every deal struck down or renegotiated by medicals works out in our favor. Grant Balfour, Gallardo being the biggest ones. ……..and what team did Glenn Davis come from???? Can’t really blame the Orioles for their medical stance, especially considering how fragile pitchers are these days. As for this mystery reliever, I don’t know, maybe Alex Colome or Trevor Rosenthal? Either of those 2 being moved would not be shocking. If the Astros had 6-7 untouchables and the issue with the trade was that a pitcher or two had some bad medicals, is it safe to assume the deal was built around David Paulino? No. 8 prospect on MLB.com and had elbow tendinitis issues last season. If the deal was built around him, I’m okay with the Orioles not pulling the trigger, regardless of the medicals. I don’t think it would be unreasonable for the O’s to want one of Forrest Whitley or Franklin Perez as the headliner and it sounds like that was never going to be the case from Houston. To me it just sounds like they weren’t a match, period. Regardless of the medicals. That’s fairly common knowledge by this point, and I understand it. But if you also read the report above that states the Astros had 6 “off-limit” prospects, that also needs to be in consideration when making a judgment of this deal. Yes, it’s easy to say “hahaha the Orioles and their silly doctors,” but like hey Houston, you also weren’t offering your best players. And if you put 2 and 2 together, like I did in the comment above, it seems likely the deal was built around David Paulino. So my question to you and everybody else is… (forget about the medicals and such)…. Would you think a package built around David Paulino is a fair return for Zach Britton? My answer is… no, not enough. Long story short Astros vetoed the Britton trade because he was I’ll and instead attempted to acquire you darvish and make him their closer. The mystery reliever must be either a controllable piece assumed to be unavailable (i.e: Betances) or a reliever on a team contending (i.e: Greg Holland). I can’t actually think of too many relievers marked as unavailable by their controlling teams. So I’m assuming it’s the latter: a reliever from the Rays, Rockies, Cubs, and other contenders that aren’t necessarily dominating this year. I find it fascinating that Jim Crane…. is so readily given the benefit of a doubt here. Mind you, I’m not asserting guilt, only asserting that it seems a little naive to think that one can accept Jim Crane’s account here as totally transparent. What I mean is, it’s widely understood that the Astros have been disappointed that their revenues have not been more congruent with this season’s success than it has, so it remains suspect that the owner himself wouldn’t be predisposed to shoving off blame on the other parties involved. Have would have required much more. No, Moran for Hand straight up would not have worked for the Padres, one would think. Astros have carried out a phenomenal tank/rebuild plan to reach this point, but when they are the consistent leaker that other GMs have unreasonable asking prices on players they want, no mystery it is them being unrealistic (Bregman off limits for Sale, Tucker or Fisher no way in Quintana/Gray deal, etc). Going to be shame if a missing high leverage reliever or quality starter is their undoing. Hard enough to win it all even if everything great on paper like Cubs last year or Dodgers this year. it really is interesting about what gets leaked out there isnt it. there was a report out yesterday that Colin Kaepernicks name came up in the Dolphins front office after Tannehill got hurt. Is someone texting Adam Schefter, etc every time they hear something? In regards to Brad Hand, a lot of people seem to think the Padres “blew it” by not trading him, “when his value is at an all time high”. Could it not be that many teams “blew it” when it came to Brad Hand. Sure the Padres should/could of traded him for a less than stellar return, from what we are being led to believe, but how would that help them in the long run? Waiting for a return of impact prospects that will help the future will definitely be better for the franchise. Of course, if he gets injured before they can deal him, he will have been a wasted asset. On the flip side, everyone has to agree that the acquisition of Brad Hand the way he has been pitching the last 2 seasons, would have also helped many of the contenders who did acquire LH relief help more than the pitchers they did get. Hand would have been more of an asset to the Astros, Dodgers, Cubs and Nationals than the guys they did obtain. There is a very fine line of a rebuilding team wanting too large a return for a player and a contending team valuing their prospects too highly. What is worse, not trading a player at peak value during a rebuild or not trading a prospect(s) to help your chances win the World Series? We will find out of the next few months. Rebuilding team not trading their relief pitchers at peak value is worse. Relief arms are volatile by nature and a high leverage one on a rebuilding team is like having $2500 rims on a $1000 car. Pointless. If a team is contending now, they are already good enough to win it all. You can also always add a different relief arm who is on the market and help your team. Maybe Brad Hand continues to improve and gets this enormous package in the offseason, but my guess it won’t be nearly as strong as the rumored asking price that Preller had this deadline. Looking at the prices teams have paid for RP over the past year, I think the Padres missed an opportunity by hanging on to Hand. So to use your analogy, I should sell my $2500 rims for $100 because my car isn’t nice? How does that make any sense? Even if my car (team) isn’t looking/running well right now, how is $100 (prospect return) going to help me out in the long run? And yes, teams can go in different directions and acquire different pitchers, but if I was planning on driving to the top of a mountain (World series Championship), I would buy high end winter tires (Hand), not used summer tires (Watson,/Liriano), to piggy back on your analogy. 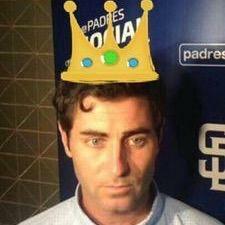 If the only offers for Hand truly were just a couple of 45 FV low ceiling prospects, then Preller really blew it. Especially considering what other less valuable players were traded for. If this is to be believed, then it means Preller kept his asking price so ridiculously high that teams didn’t think it was worth their time to actually try and formulate a trade with the Padres. The Tigers received a ML ready 55 FV prospect and a 45 grade, 18 year old playing well in full season ball for 1.5 years of Justin Wilson. The Dodgers gave up a ML ready 55 grade and two 45 grade prospects who are playing well as 19 year olds in full season ball for half a season of Darvish. The Nationals gave up two high upside 50 FV prospects and a MLB RP for a couple of relievers with serious injury histories. Even the Rays gave up a 50 FV prospect for Dan Jennings. Yet, we’re supposed to believe that only a couple of lesser 45 FV prospects were on the table for Hand. Padres fans can spin this however they want, but to someone without a horse in this race, it looks like they missed an opportunity to sell a luxury at, or near peak value. Padre fan or not, selling a luxury at pennies on the dollar makes no sense in sports or “real life”. And the biggest issue with this storyline is, the only player we know was discussed was Brad Hand. We can all sit here and say the Padres asked too much or the other teams offered too little, unless actual names come out,(which they shouldn’t), we will never know. And even if the names did come out, there would be different opinion on the return.